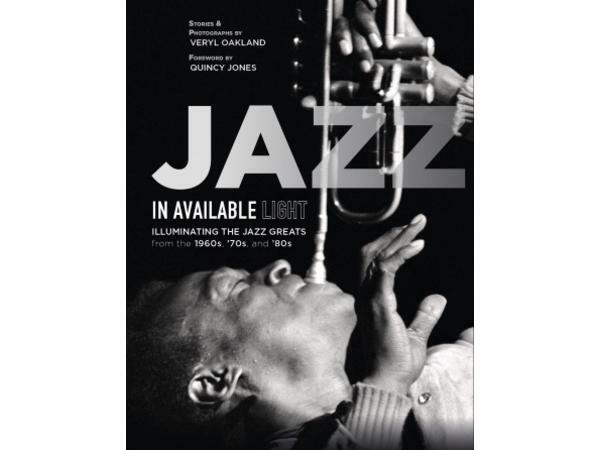 Veryl Oakland’s photographs have been featured in thirty jazz books. More than 100 of his images were published in The Encyclopedia of Jazz in the Seventies, by critics Leonard Feather and Ira Gitler, and he was the sole photographer chosen to illustrate The Great Jazz Pianists, by Len Lyons. An active photojournalist for more than a quarter of a century, he closely collaborated with the renowned German critic/producer Joachim-Ernst Berendt on many of his jazz projects, plus regularly contributed works to the major worldwide jazz publications, including Swing Journal, (Tokyo, Japan), Jazz magazine (Paris, France), and Down Beat (United States). Oakland studied cornet for seven years, but never played professionally. He did not own a camera until age twenty-five, and was entirely self-taught. Through both personal stories and stunning photographs captured behind the scenes, lose yourself in this bygone era of jazz that celebrates dozens of the most recognized and formidable jazz artists spanning three decades. As a freelance jazz photojournalist who devoted nearly thirty years in search of the great jazz musicians, Veryl Oakland profiles the music’s masters in a wide variety of settings—under the spotlight, in their homes, and far from the stage—in a personalized manner unique for jazz publications. Close followers of the entertainment industry and music lovers everywhere will be enthralled to see more than 340 iconic images of diverse stars—Duke Ellington, Count Basie, Buddy Rich, Dizzy Gillespie, Thelonious Monk, Dexter Gordon, Art Blakey, Stan Getz, Phil Woods, Sun Ra, Cecil Taylor, Paul Bley, Weather Report, and Wynton Marsalis—covering music styles from swing, to bebop, cool, hard bop, free, and beyond.